Due to an unseasonably long spring, your ISBVI Trustees are rescheduling our annual fundraiser from this spring to September 16 --- for better weather and to give you more time to practice! We have received feedback from several prior participating schools that they would like to participate, but that a Fall date would better suit their current school schedules. Moving the event to the fall will also provide a more suitable date for students from the ISBVI to participate. We have capacity for approximately 25 Trike teams and 25 Disc Golf teams so we hope your clubs will continue to promote these valuable events to support the mission of your State Project and the ISBVI’s statewide outreach services to our blind and visually impaired students in all your districts. If your club has already sent in registration forms for the trike race/disc golf originally scheduled for April 22, we would invite you to carry your sponsorships and team registrations forward to the fall event date. We will be contacting you for confirmation of carry-forward to the fall event. Ifyou have any questions in the meantime, contact Chair Pat Short (lionpatshort@aol.com) or Event Coordinator Lion Pat Henninger (iwtlions@gmail.com). Thank you for your continued support of the ISBVI Lions State Project. September 16 will bring the 20th running of the Brian's Trike Race! In celebration of this anniversary of partnership between Lions and the Indiana School for the Blind and Visually Impaired (ISBVI), we are up-scaling the event. This year, for the first time, we will host not only the Trike Race event, but also an opportunity to compete in a scramble at the ISBVI's Disc Golf course. New to Disc Golf? Learn more here. As in prior years, teams compete with one another in Adult and Student categories, all for the benefit of the school. Both the Trike Race and Disc Golf tourney take place on April 22 on the grounds of the ISBVI. Adult teams may be Lions or non-Lions and Student teams may be Leos or non-Leos. Now is the time to reach out to those in your community and invite them to participate in this fun and important event! Open signup has begun. Thank you to all of the sponsors and participants of the annual Brian’s Trike Race fundraiser, held on October 2, 2016 at the Indiana School for the Blind and Visually Impaired (ISBVI). About 30 teams raced on adult-sized tricycles to benefit the ISBVI ! The ISBVI and the Lions State Project appreciate your help and support! 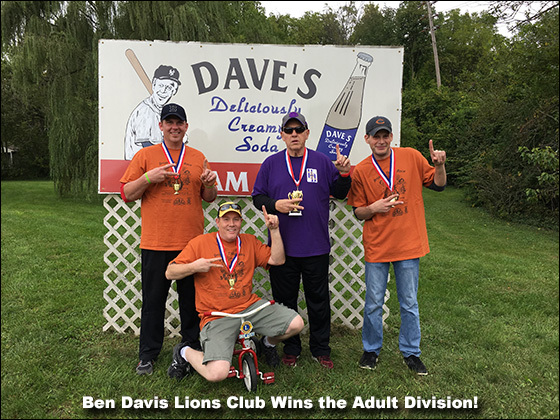 In last year's event, the Ben Davis Lions Club won the adult division for the second year in a row. 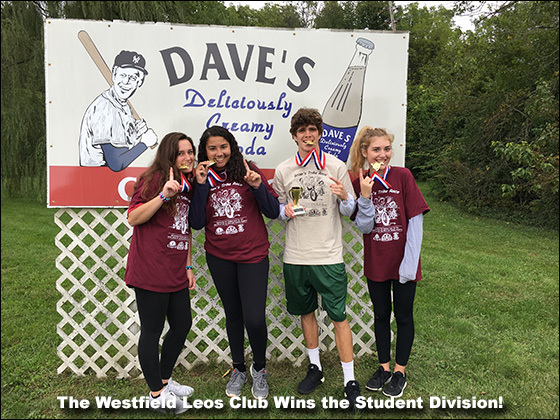 The Westfield Leos wons the student division. For a full list of 2017 sponsors, please click here.